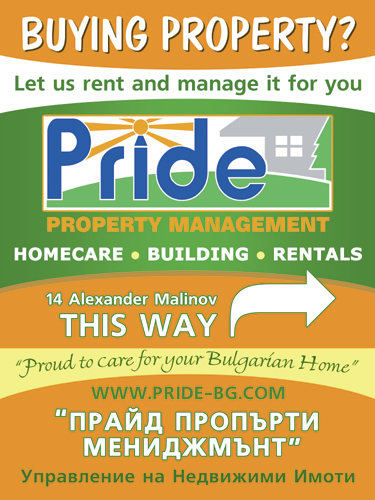 It is important and reassuring for you as an owner to know that our Property Managers will be keeping a close eye on your Bulgarian property and informing you quickly about any new or potential problems. This is crucial as most insurance companies in Bulgaria will only agree to cover properties which are regularly inspected, and generally insurance claims must be submitted within 30 days of any incident. Our monthly property inspections and snag lists are carried out by trained staff who make a thorough inspection of all internal and external areas. On every monthly inspection we check the condition of the property against the previous inspection report and photographs, and describe any new or developing problems. We will also proactively look for various construction issues which our experience of checking many buildings has shown are likely to cause rapid deterioration in the future, such as faulty insulation, insufficient drainage from the footings, badly secured roof tiles and so on. Whenever we visit, we will open doors and windows to air the property, run the water to prevent stagnation in the pipes, and even water your house plants. We will test all the water and electrical fixtures and can even treat any minor signs of mould or infestation. If your property suffers with humidity problems we can install a dehumidifier which we will check on each inspection. When we leave we will make sure that everything is securely locked up and that the alarm, if present, is in good working order. If any repair or preventative measures are necessary, our reports will make recommendations and we can arrange for quotations to be provided by appropriate tradesmen. We will then follow up on the works to ensure everything is completed to a high standard before making payment on your behalf. On our inspections we also note your water and electricity readings as these need to be provided to the local utility office on a regular basis to enable bills to be produced. This is vital as if the utility offices do not receive regular readings they can disconnect properties in case the supplies are being used and not paid for. By visiting and checking your property we hope to ensure a pleasant and problem-free stay when you, your family, or your rental guests arrive! If your new build or renovation project has just been completed, our initial conditions reports are very detailed and cover everything needed for a full snagging report list in your Bulgarian property. We can then follow up with your builder to help ensure that the issues highlighted on the snag list are resolved. Our homecare service really is second to none!